True (Blossomwood's True Colours WC JH RN) is member of our extended family. She is an American import. Her mom (Ch. Stonecrest's Sound Wave) is from Michigan and her dad (Ch. Kamaglo's Original Formula JH CDX WC VC) is from Wisconsin. Mom and Dad hope to make her into a model canine citizen. Mom's staff thinks she is Miss Perfect, but at home she answers to Demon Dog! True continues to amaze and amuse us. She has earned her WC and JH titles. Mom is working on her CD and WCI now. She now has all her clearances (hip, elbow, heart and eye). 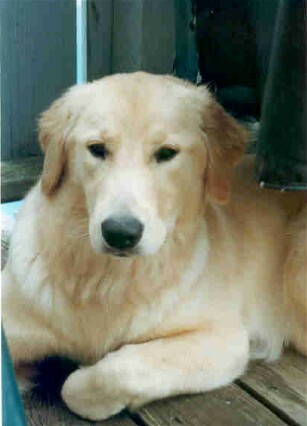 True had her first litter on November 8, 2004, sired by Keegan (CH. OTCH. One Ash Dallas Keegan QLB Can WCI JH VC CGC Am CDX WC). 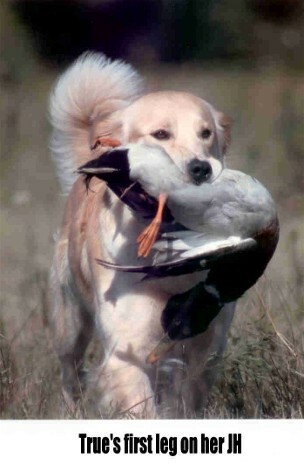 True was bred to Keegan again and had her 2nd litter November 14, 2005 - talk about clockwork! 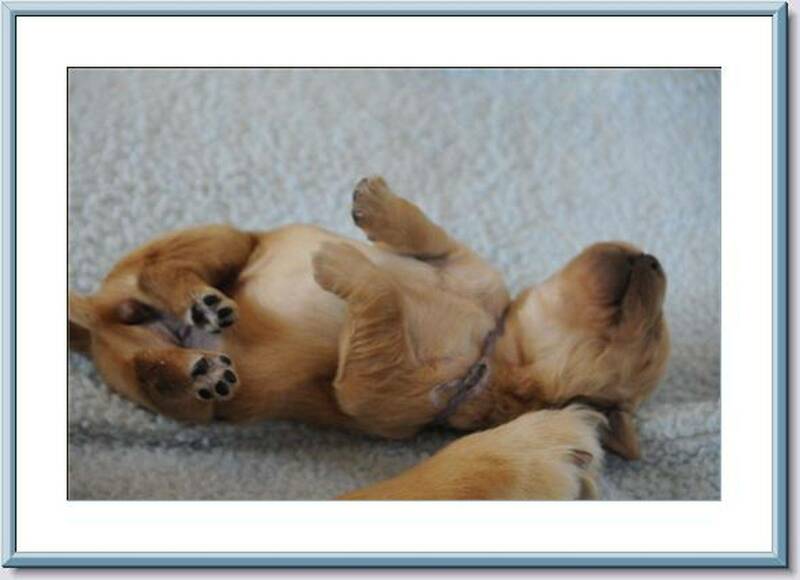 You can check out photos of these litters on our Past Litters page. So True has been training in Rally Obedience was sucessfully got her RN title in September!! True now has one leg towards her RA! We hope to continue with her RA and RE and then some field training with Doug and hopefully her WCI !! This is True's year to go for some Rally Titles!! True was diagnosed with kidney disease in December 5th 2014..Six months to the day True has gone to play with her buddies at the Golden gate. Wait for me True Bunny I will be there one day to play with you again!